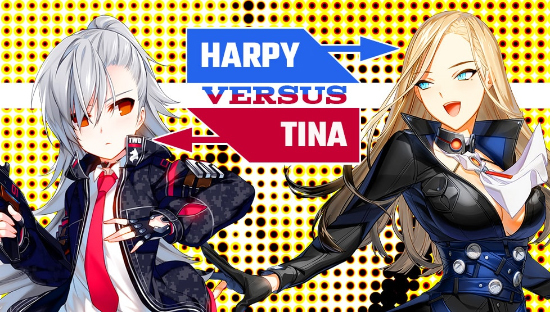 Tina vs Harpy event is Now Live in Closers! The upcoming community event, ‘Tina Versus Harpy’ is now live and will run from March 6 through March 20. Players can have a direct impact on the next character that joins the Closers team by taking place in this special event. Through crafting a special in-game Tina or Harpy token item, players will cast their vote for which unreleased Closers character they want to appear in-game next: the marksman-specialist Tina or the kinetic explosive cards of Harpy! In addition to vote tokens, players can also craft either an 8-Bit Tina or Harpy mask to show their support for their favorite character! Voting is now open and closes on Wednesday, March 14, at midnight UTC. The results of the community event will be revealed on March 15 and and the chosen character will be available in-game on April 3!